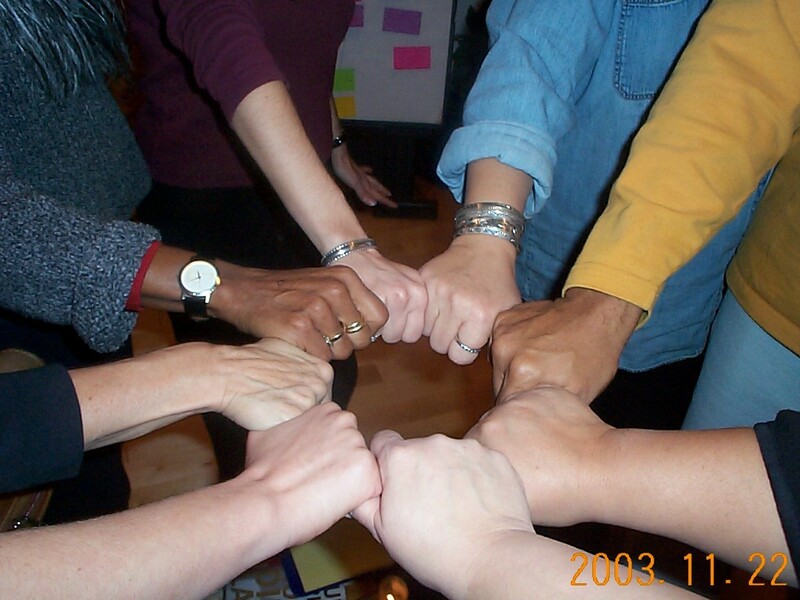 Circles of Change began in 2000, and brought together groups of diverse activists for the purpose of building community among social change leaders and identifying four core strategies for movement building: 1) Connecting with Spirit; 2) Healing From Divisions: Building a Diverse Movement; 3) Collective Visioning for a Positive Future; and, 4) Action for Deep and Lasting Change. Spirit in Action trained leaders to run these circles for groups, organizations and communities and Circles of Change continued as a project of Spirit in Action through 2009. Initially, Spirit in Action invited a small group of political and spiritual activists from across the U.S. to become facilitators of Circles in their own communities. In a series of training sessions, they shared ideas, built community with one another, and created a pilot curriculum for Circles of Change. After running six-week pilot Circles, facilitators regathered to reflect on what they had learned about the work of Circles and movement building. They ranged in age from their 20s to their 60s, were ethnically and racially diverse, and described their spirit perspectives in many different ways. They worked on a wide range of issues in their activist lives, including: women and girls’ empowerment; Colombian solidarity; prison reform; environmental activism; gay, lesbian, bisexual and transgender civil rights; educational reform and student empowerment; cross-border organizing; college campus organizing; cultural activism; antiracism work; and anti-corporate globalization activism. By 2005, 15 official Circles of Change had been run in five states: California, Massachusetts, Washington, Kentucky, and Pennsylvania. A number of Circles continued past their official sessions, and other kinds of circles were formed, inspired by Circles of Change, for example the Education Circle of Change. Facilitators used a range of activities designed to engage the whole person, including discussion, experiential exercises and contemplation, ritual, play, art and community meals. The facilitator played a critical communication role by reporting questions, insights and successes of each Circle session. As Circles came to a close, facilitators and staff worked with members to decide whether to continue or conclude their Circle experience. The Circle Leadership Network (CLN) was established in 2005 to support and develop the leadership of the facilitators of Circles of Change. 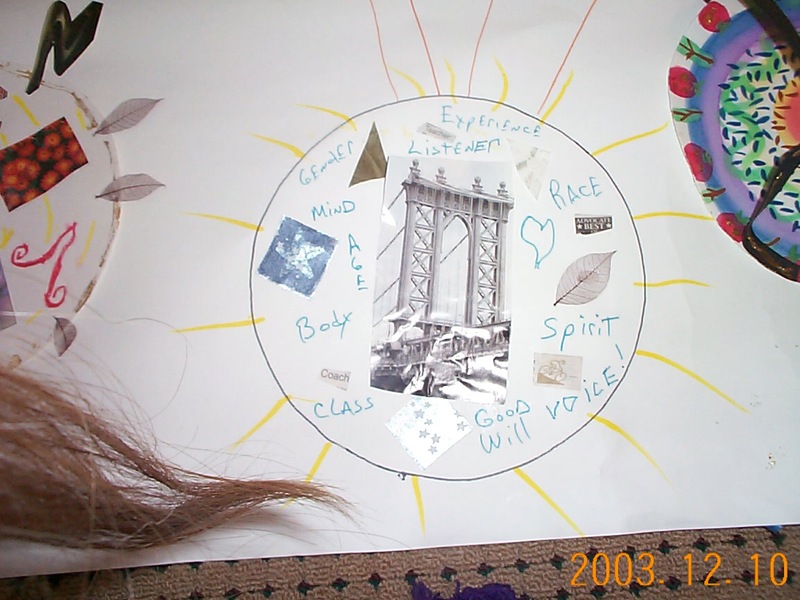 The collective wisdom gathered from these Circles formed the foundation for the Spirit in Action Facilitating Circles of Change Curriculum Guide, published in 2005. The four main sections of the Circles of Change curriculum guide embodied the understanding of the core strategies for building a broad-based movement that achieves transformational social change. Northeast Louisiana Delta Coalition, Tallulah, Louisiana. Spirit in Action was engaged to lead the Coalition’s community visioning process and through that process, the group decided to transform the youth prison into a community college and learning center as a critical first step in improving the region’s future. Much of the coalition’s energy was subsequently spent in guiding legislation through the Louisiana legislature, and two resolutions were passed that forwarded the conversion process. In fact, this represented the first time in the history of the U.S. that a state legislature passed legislation mandating the conversion of a prison to a community college. The youth prison site is now the home of the Louisiana Delta Community College. Kids Rethink New Orleans Schools (Rethink), New Orleans, Louisiana. Under the guidance of a cross-regional “Elders Circle,” a collaboration of New Orleans community organizers, activists, graphic artists, architects, media experts, and educators came together to find a way to bring New Orleans youth into discussions about how to rebuild the city’s schools post-Katrina. The challenges that faced the community long before Katrina, including racism and poverty, had become visible in the aftermath of the hurricane as never before. Rethink was established to bring together young people to develop a vision of what their schools could be; depict their concepts in art products and architectural models; and create a video documentary of their experiences and vision for the future. Rethink is a youth organizing and leadership development organization that uses participatory education and action research to build organizing and leadership skills of New Orleans youth. From its inception, the Circles of Change program impacted and made real change in the lives of communities, organizations and individuals across the country. Hundreds of people were active in the Circles of Change program as participants, facilitators and leaders. Circles of Change always focused on engaging activists in the work of connecting spirit and social change. This work brought together people in a wide range of fields, including community organizers, nonprofit administrators and service providers, students, teachers, journalists, social work professionals, medical care providers, counselors, religious leaders, and individuals in a myriad of other settings and occupations. Despite their widely diverse backgrounds, Circles members shared a commitment to fostering collective action towards justice, peace, and planetary sustainability. While clearly valuable as a professional development and organizational capacity building strategy, Spirit in Action’s Circles of Change was vital in providing pathways to sustainable, whole community transformation. Go here to read a more in-depth history of the Circles of Change.